Save up to £350 off a brand new bike when you trade in your old bone-shaker. We'll take it off your hands and give it to our network of charities across the UK and In return you get to save money. Win-win! See our website for more details. Free fitting with all new sales. 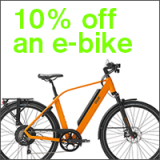 You can save 10% off the list price of an electric bike, up to a maximum saving of £250. 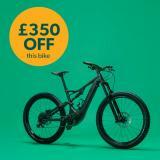 Quote "E-bikes London deal". 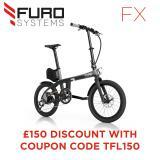 Valid for bikes delivered to a Greater London postcode or picked up from us. Not to be used in combination with any other offer. Get £100 off Raleigh Motus, Strada and Mustang e-bikes, plus a FREE UVEX helmet and Squire Eiger lock! To arrange a FREE test ride with the following qualifying stores visit the Find a Test Ride page.